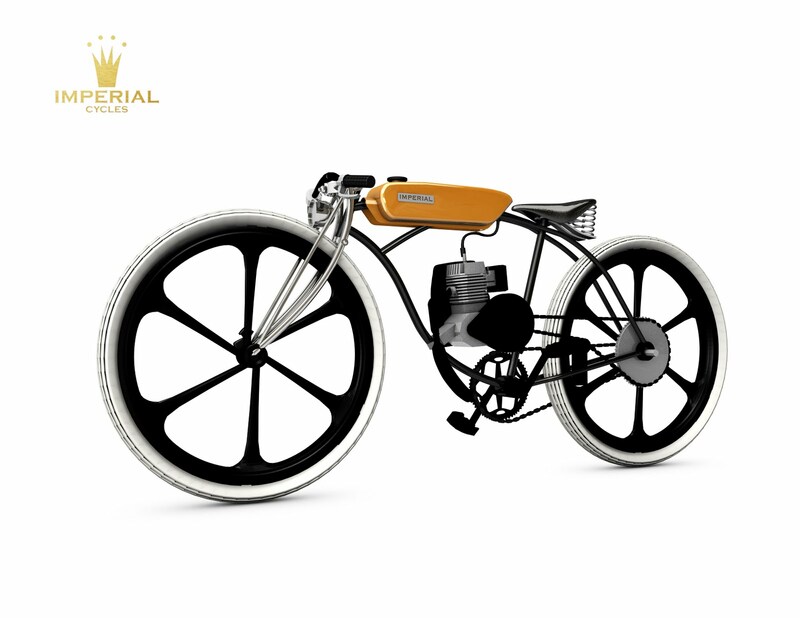 An oldie but goodie—lovely board track racer concept rendering by Imperial Cycles. Looks like you could pedal or motor too. Although seems like it may be a bit uncomfortable either way. Still pretty to contemplate. UPDATE: Looks like this (El Gigante) may have been a realized version of the bike.